The Wike Premium Single Child Bicycle Trailer is the perfect solution for the small family on the go. Just as smooth and stable as its larger Premium Double, the Premium Single let’s your child ride in style. 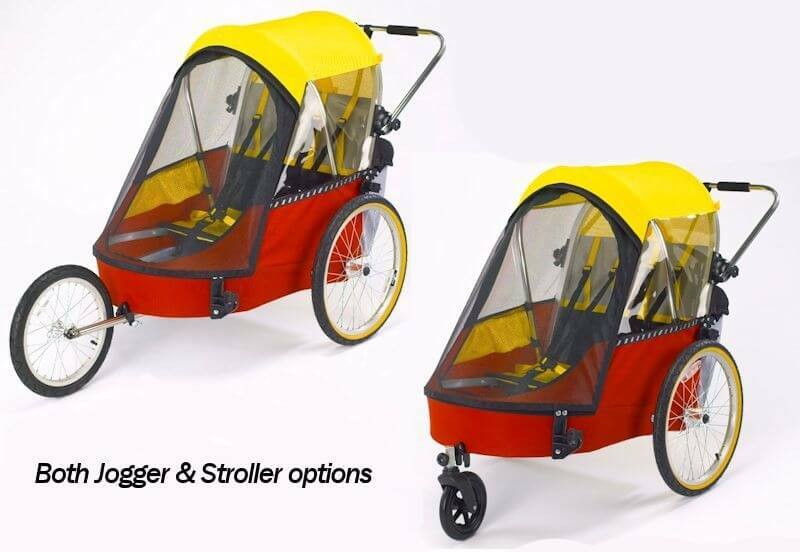 With lots of head and legroom, the Premium Single will accommodate children to 132 cm in height and is up-gradable to Jogger/Stroller with the purchase of the options. You do not need to worry about whether your 6 year old can ride safely on the streets on their own, they will still fit in our trailer. Not only will your child have plenty of elbow room but you’ll have plenty of places to stash their toys and treats. 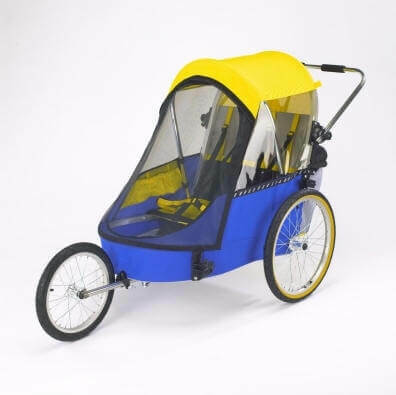 Also included with the trailer are: two bike hitches, rain screen, bug screen, and safety flag. Our trailers are built with care at our factory in Guelph, Canada and are shipped directly to you. You can only purchase it through our secure online store. Available in Red/Yellow only. 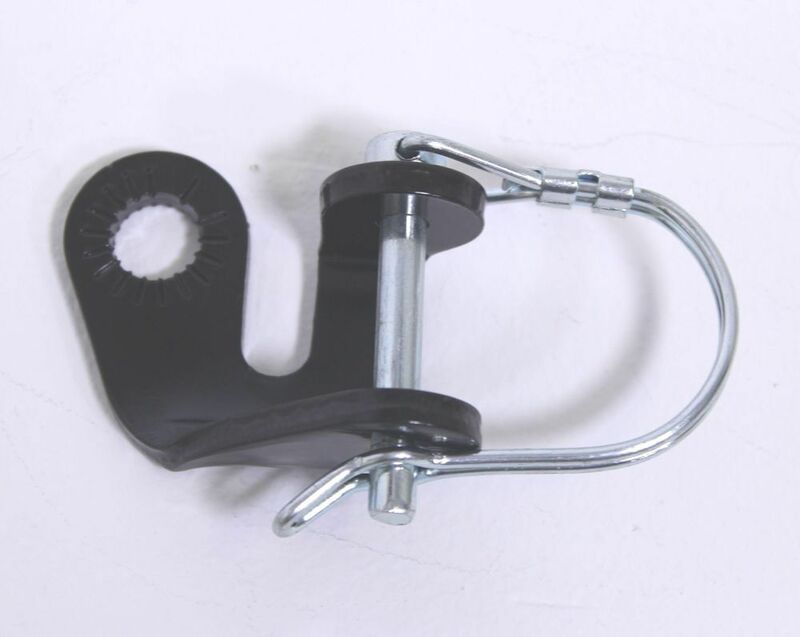 This is a 15.2 cm swivel wheel that inserts in the front of the trailer to provide easier balance while walking using flip-over towbar/handle.